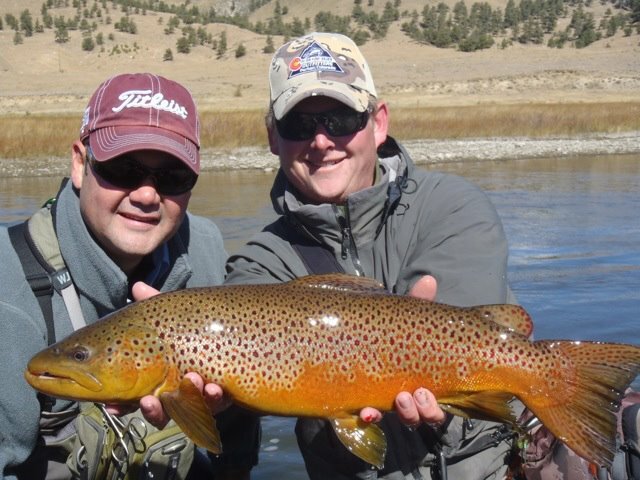 Brown Trout (above) above are generally more carnivorous, tollerate slightly warmer water & spawn in the fall. 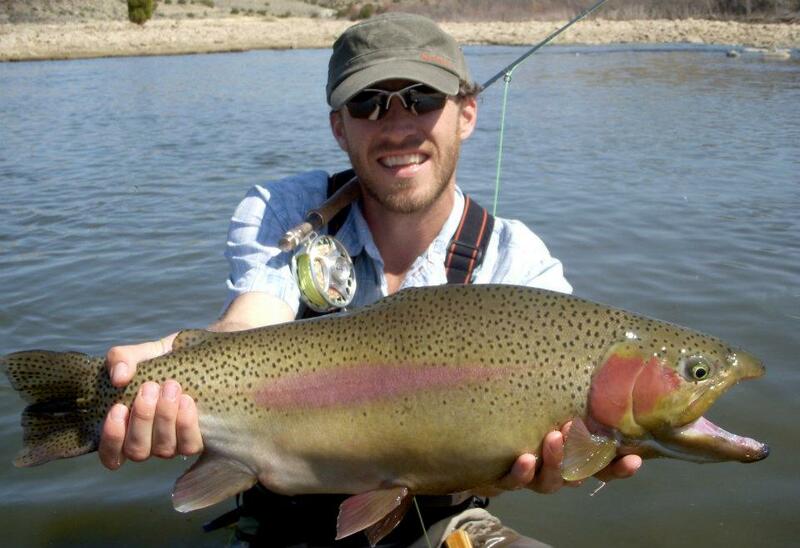 Tailwaters are dam controlled and provide consistent water flows, clarity and bug life for trout. Freestone rivers are far and few between in the arid western region. A freestone river is at the mercy of mother nature with no dam controlling the flow. Very low winter water levels and high water during run-off periods. Greater temperature swings, variable water clarity, and diverse insect life. Can You Identify all the Water Types in this Video? Offer deep water and slower current. Fish pod up in pools during the winter and seek refuge in them during the summer. Fish move into riffles during heavy hatch periods where lots of food is moving through the shallow fast water. Trout also move in and around riffles when water temps are high because the faster water creates more dissolved oxygen. Seams are the areas where fast water meets slower water. 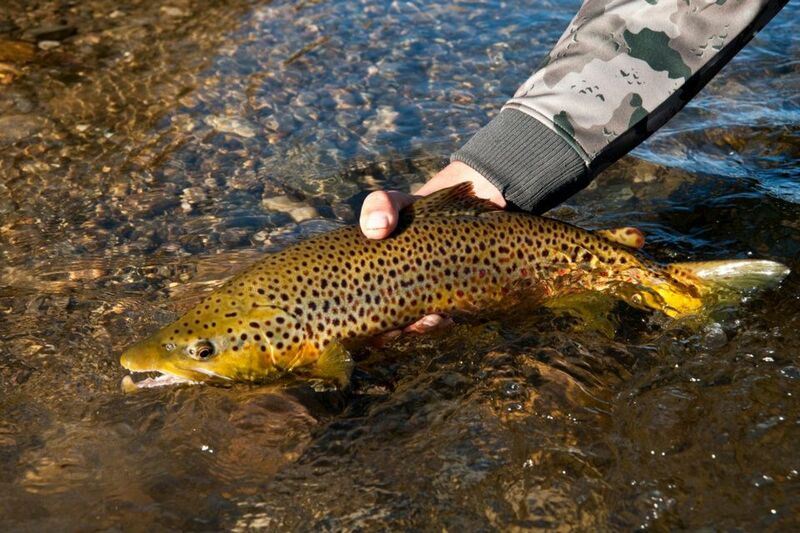 Trout can sit in the slower water (stay out of the current) yet still have a line of vision into the faster water where more food is being carried. The areas where a defined run trickles out of the main run into a wider area of lesser defined current or into a pool. The soft water that exists directly behind boulders. Stream flows are a huge indicator of where fish might be located in a given river. There is not really such thing as ideal stream flows. Trout must eat to survive. The amount of water in the stream will determine where fish will be eating and holding comfortable. Water is measured by Cubic Feet Per Second (CFS). 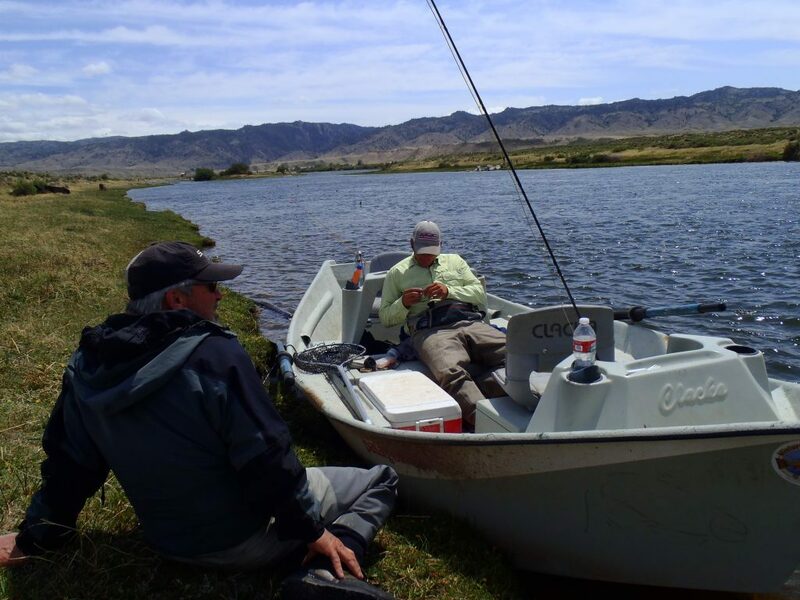 A bigger and wider river such as the Colorado River, can tolerate more stream flow and keep fish spread throughout more than a smaller river such as the S. Platte. 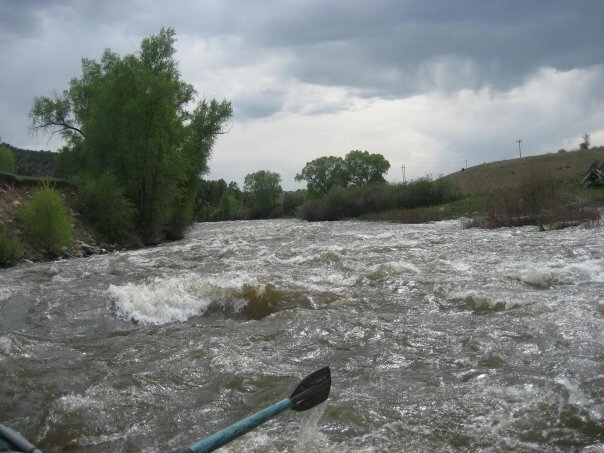 For example, 600 CFS on the Colorado River is relatively low where as 600 CFS on the South Platte would be very high. See Colorado Stream Flows for up-to-date Stream Flows.